Assistant Principal Jane Cox dances with kindergarten students for their monthly PBIS event. 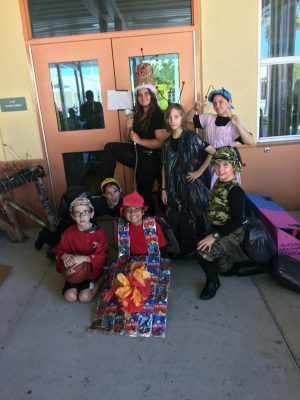 Students who earned enough Class Dojo points through positive behavior, attended a dance and enjoyed showing off their best moves. 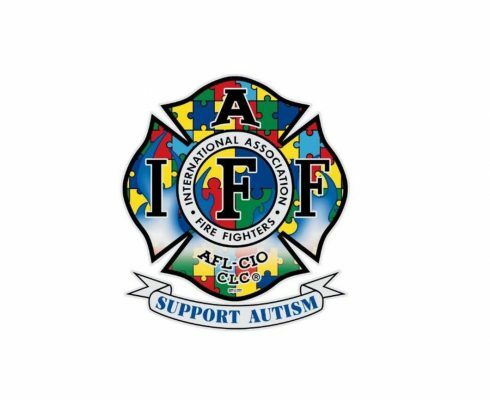 Manatee K-8 Academy showed up with a spirited team to support Autism Awareness during April’s Charity Flag Football event. Go team! 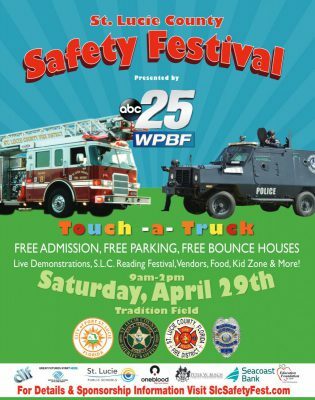 Bring the whole family out to Tradition Field for the annual Family Reading Festival and Safety Festival. The SLWK-8 My School Color Run sponsored by the Student Council was a huge success! 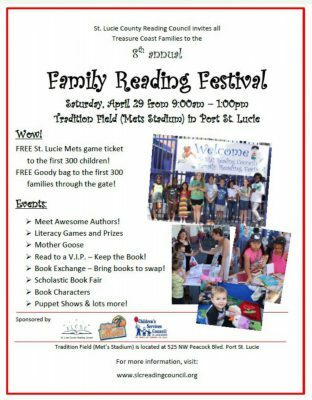 Special thanks for Ms. Renee Taylor, Mrs. Shawna Portee, and Dean Lauren Kosinski for their hard work in organizing this event. Everyone had a colorful time! 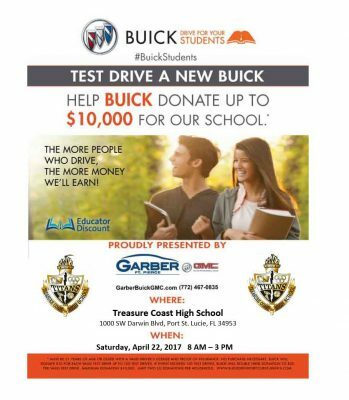 Take a test drive and Garber donates $10.00 to the school! Must be *21 or older to participate. 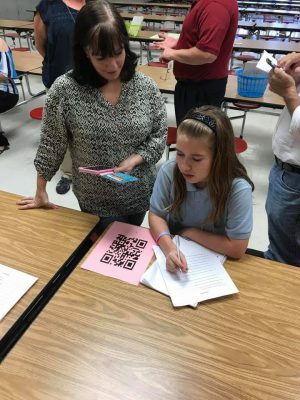 Bulldogs enjoyed an evening of Civics and Science at their Title 1 Parent Night. 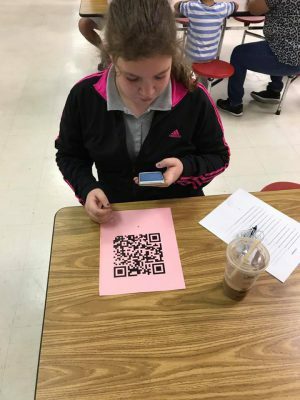 Families experienced technology-enhanced learning through QR codes with examples of Civics EOC questions. 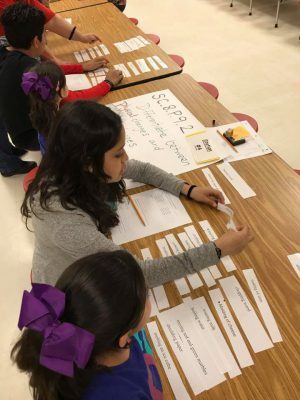 Science focused on heavily tested standards to show families how to attack those types of questions. Fun was had by young and old alike! 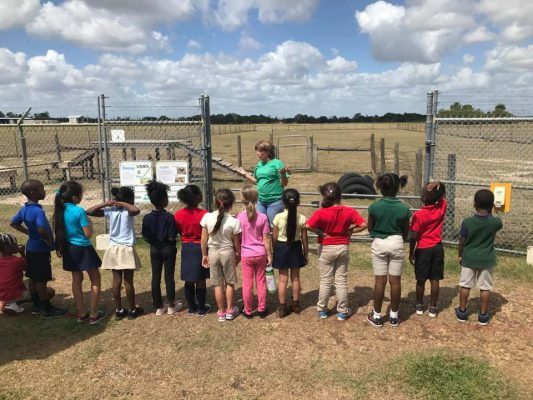 First grade students enjoyed their day at the 4-H farm. 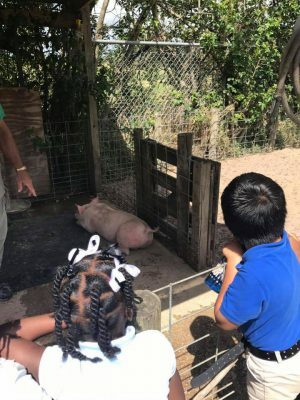 Students were able to see up-close various animals on the farm. 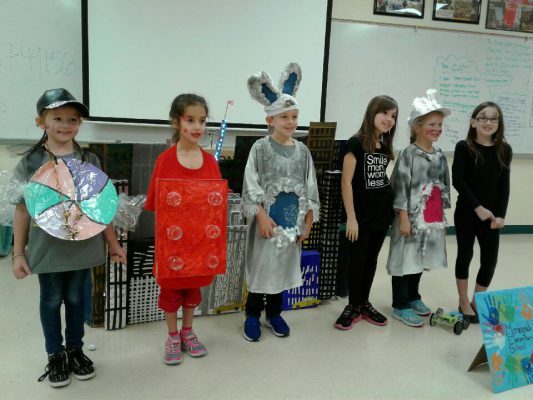 All five teams placed first at the Palms Regional Competition, and Mrs. Moore’s team placed fourth at the State level. Congratulations, Bluejays!! !